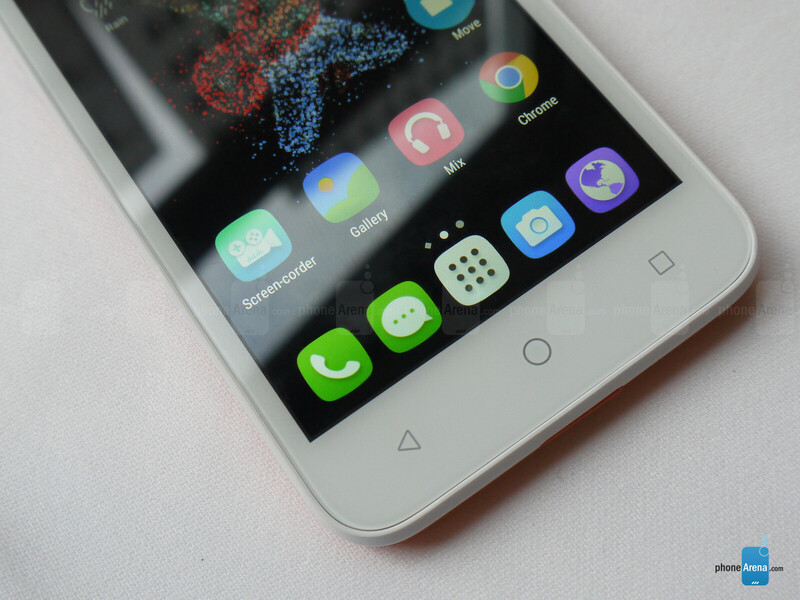 The GO PLAY is a smartphone Alcatel made for active, outgoing people that probably don't spend so much time staring at their screens, but need a reliable handset to document and enhance their life experiences. Alcatel didn't just stop there, though, it also made a smartwatch companion for the smartphone. The GO WATCH is a waterproof, dustproof, and shockproof wearable that notifies users about messages, emails, calls, and weather from their wrists. It also pulls off a special trick dubbed "emotion sharing", creating a graphic from the input of the gyroscope, heart rate sensor, and accelerometer. Both devices look sporty, in the sense that they are made of plastic and look practical, rather than sophisticated. They do, however, boast a lively and colorful character. 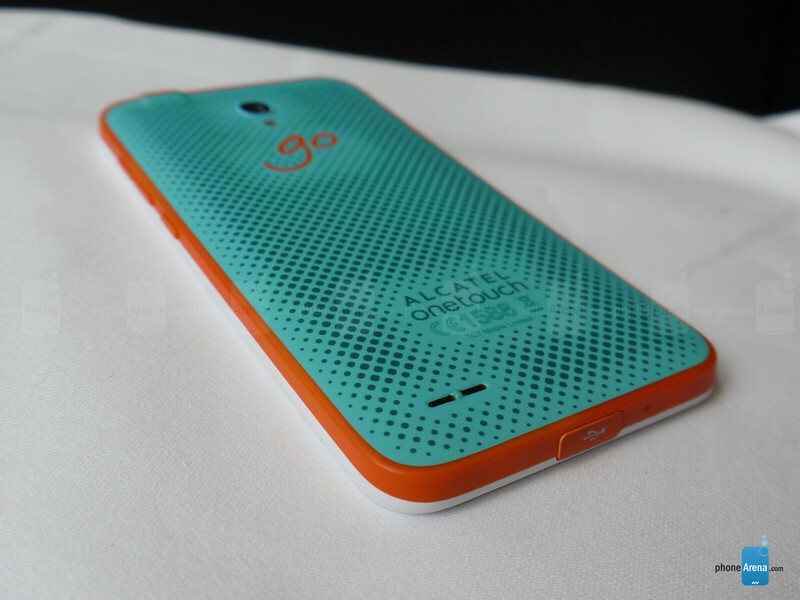 The GO PLAY has a dotted pattern back and a two-tone plastic frame, both available in a variety of color schemes. They definitely make the otherwise unassuming smartphone stand out, although they won't be up to anyone's taste. The GO WATCH, though, has that "discount brand imitation sport watch" look about it. But looks are deceiving, as this thing packs quite a bit of technology inside of it. The GO PLAY features a 5-inch 720p resolution TFT display. While not visually impressive, the panel is still reasonably sharp and it will get the job done, even it doesn't look like an expensive LG or Samsung TV. 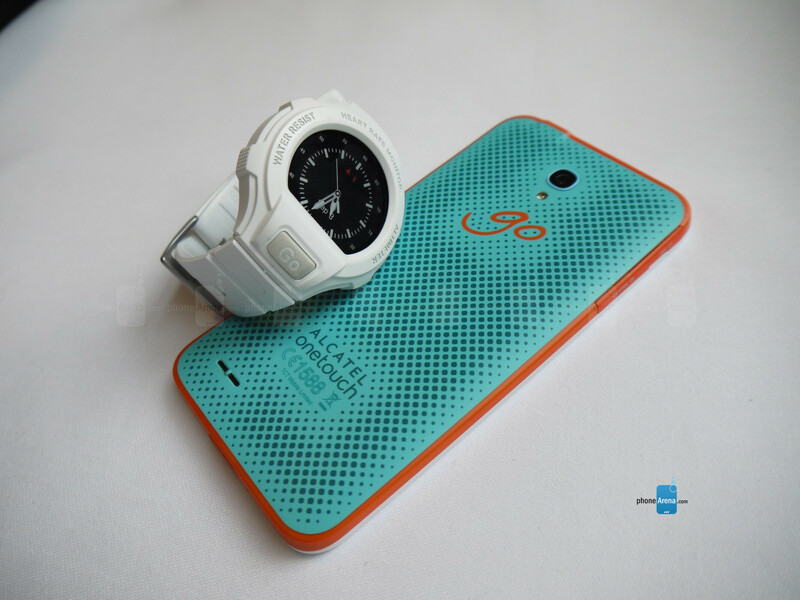 The GO WATCH comes with a 1.22in IPS LCD 240x240 resolution display in a "flat tire" shape. The tiny screen looks a bit grainy, but is definitely usable. Specs-wise, the GO PLAY is a fairly modest, but reasonably up-to-date affair. The smartphone runs Android 5.0 is powered by a 1.2GHz quad-core Snapdragon 410 CPU. It comes with 8GB of expandable storage (4GB available to users) and 1GB of RAM. The camera setup comprises an 8MP auto-focus unit on the rear and a 5MP fixed focus unit on the front, both being able to record 1080p@30fps video. The handset's powered by a 2500mAh unit and includes extras such as FM Radio, 1-finger zoom, Mini apps, Multi-Tap wake up, and Idle screen. The GO WATCH's spec sheet revolves around a Cortex-M4 based processing unit, and a 225mAh battery that takes an hour to charge. The GO PLAY smartphone runs Android 5.0, keeping the look and feel close to stock, but augmented with Alcatel apps and icons. It's a reasonable strategy that delivers a straightforward user experience without bogging the hardware down. 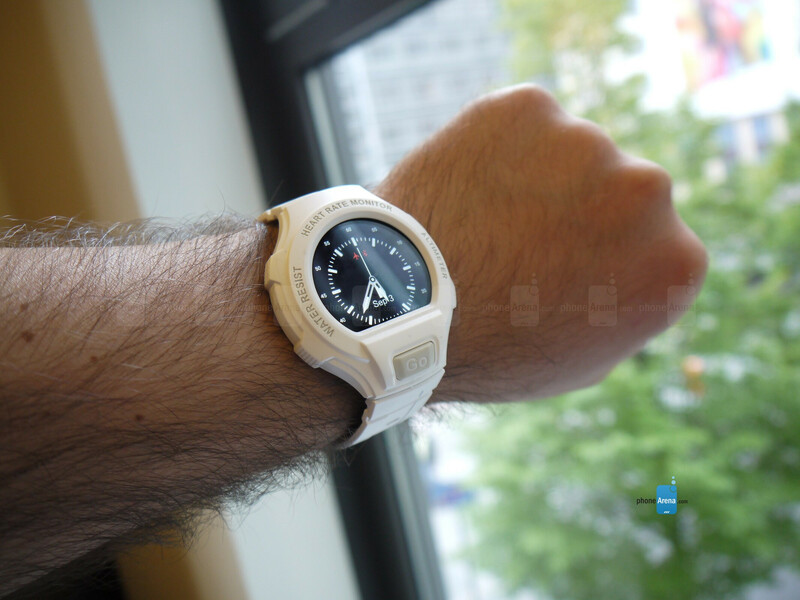 The GO WATCH runs a proprietary operating system and is compatible with Android 4.3 or above, and iOS 7 or above. The "emotion sharing" thing that we mentioned above is activated by pressing the watch's GO button. Equipped with a 8MP rear cam and 5MP front cam combo, the GO PLAY is capable of taking underwater photos and videos, which will make it attractive to those looking for a smartphone that doubles as a GoPro, we guess. There's a LED flash on the unit, along with software video stabilization. Both cameras can shoot 1080p resolution video at 30 frames per second. The GO WATCH doesn't have cameras on it. Alcatel has made two intriguing products that don't really have a match in the affordable price segment. While price and release dates haven't been revealed, the duo will definitely cost less than, say, a Galaxy S6 Active and a paired Android Wear watch would. The GO devices also seem like great gadgets for lively children with their bright colors and rugged builds. This is supposed to be a rugged phone, so what's with that slightly protruding camera? That gives it a higher risk of getting scratched/smashed.